Well, it’s happened. All of our ViPhone dreams have come true and the phone will be available in stores in February. But should you buy it? I’m of two minds. As a long-suffering AT&T customer completely understand the rage some feel at the failings of that network. The Verizon iPhone hit 1500kbps while the AT&T model hit about 100kbps during a good minute. My reception in Manhattan is abysmal as is yours if you live in San Francisco or other highly populated areas. But leave the iPhone cluster and it’s a different story. I’ve never had a call drop at home in Brooklyn, for example, and that’s right across the river. The Verizon iPhone is a nice addition to the Verizon catalog. It is immensely popular, well-supported, and there is already a fervent fan base. But this model has a fatal flaw: CDMA. CDMA is an interstitial technology right now as carriers roll out LTE and I suspect we have at least another year before the ViPhone will come in an LTE model. Apple is still supporting GSM/3G, as well, so this won’t be a matter of the ViPhone leapfrogging AT&T. It just won’t happen. So should you buy it? If you’ve been waiting for the iPhone on Verizon and you’re happy with your current phone/contract, then wait a little more. There will be a new version coming in June. 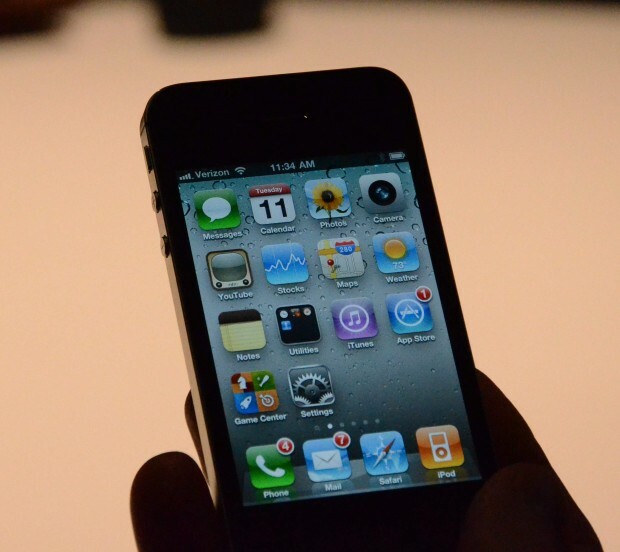 The iPhone 4 is already old technology, at best, especially given the rapid pace of change. Are you planning on making a change and signing a new contract anyway? Go for it. You’ll have an iP4 for about two years and then you can get the latest and greatest. Do you rarely upgrade your phone and expect to hold onto this phone for a while? Again, pick it up. You won’t be disappointed. A current iPhone AT&T customer pondering the move? Hold up. Let’s see what happens when some of the traffic heads to Verizon. Maybe it will give AT&T a little breathing room. If you travel in any way, don’t buy this phone. It won’t work in Europe. But what about the Death Grip issue that still plagues naked iPhone 4s? Nonexistent in my few minutes with the phone at the Verzion announcement. I hope that cleared things up a little. I tried to consider some of the possible use cases and there are obviously many.